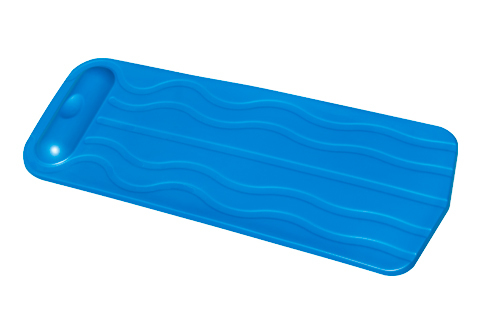 The Cool Pool Float is generous - 72" long x 26" wide x 1-3/4" thick. Relax this summer on the "finest foam afloat" made with superior Aqua Cell foam. Because of the amazing properties of this premium foam, our float will remain soft and comfortable year after year. It will not chip or crack when left in he sun like "vinyl dipped" floats. Aqua Cell foam is unaffected by pool chemicals, is hypoallergenic and its color permeates the entire float.